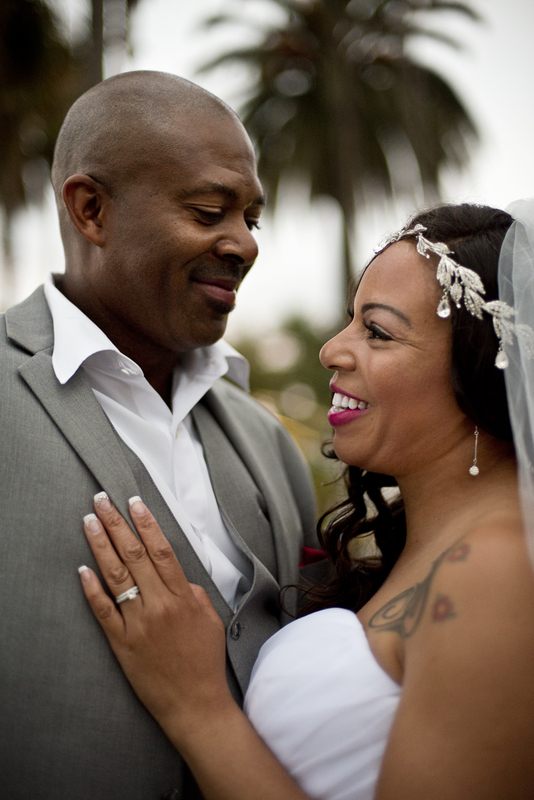 Lionel Hubbard, 47, from Long Beach, CA, marries his bride, Shannon Fowler, 38, from Long Beach, CA on Saturday, May 14, 2016 at the Laguna Beach Gazebo in Laguna Beach, CA in front of their closest friends and family members. The bride and groom lived across from each other in the same apartment community for three years, never meeting. Then one day, Fowler locked herself out and asked Hubbard for help. The rest is history.